Chisbury Chapel sits high upon the steep Chisbury Lane, which climbs for about a kilometre from the north-west corner of Little Bedwyn. The chapel, a manor house and farm buildings were all built within the boundary of an unremarkable hill fort. The chapel was constructed by the early thirteenth century, presumably by the lord of Chisbury manor. It was known as St Stephen's Church in 1496, and was served until 1547, when the chaplain's tithes passed to the Crown by Act. 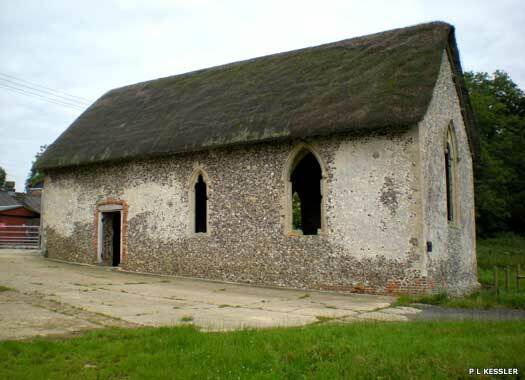 The chapel later became a barn and by 1998 was in a semi-ruinous state, although it has since been preserved. The building is rectangular, built in rubble with ashlar dressings. 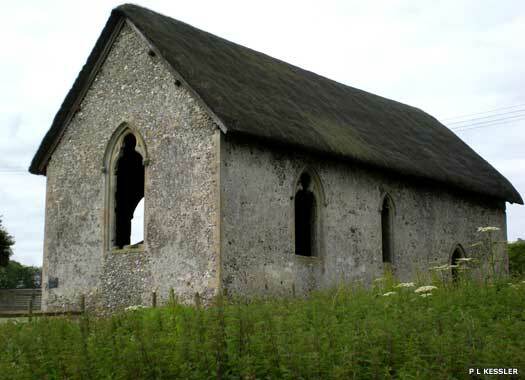 Old rendering survives inside and outside, and the scars of a screen between the chancel and the nave can be seen on the rendering inside the building. The north doorway survives from the thirteenth century, the south doorway is nineteenth century, and the roof has largely been rebuilt. 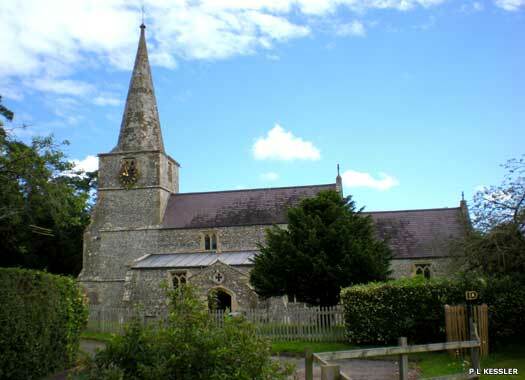 St Michael's Church, Little Bedwyn, lies at the northern end of Church Street, which itself is at the northern end of this small village, adjoining School Lane. The parish, which now includes Chisbury, was apparently part of a large estate called Bedwyn, which in the early Middle Ages was held by the kings of Wessex and England. Chisbury was separated from the estate in 778, and Little Bedwyn in the twelfth or early thirteenth century. The church dates from before 1158. 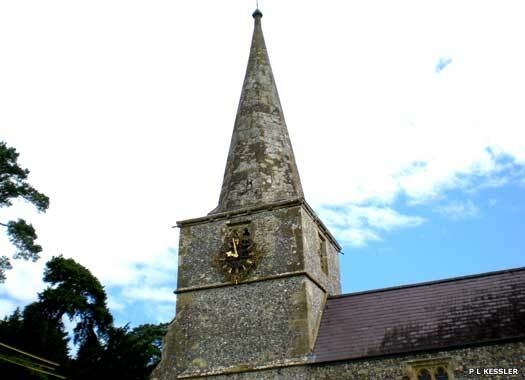 By 1405 it was known as St Michael's, and was built with flint rubble and ashlar. It consists of a chancel with north vestry, an aisled and clerestoried nave with south porch, and a west tower with stone spire. The narrow nave and the arcades were built about 1200. The chancel and nave were reroofed in 1841, and the church was extensively restored in 1868, at which time the vestry was added. The spire was dismantled and rebuilt in 1963 after being struck by lightning.